The properties provide self-contained retail units arranged over ground, first and second floor levels, and storage accommodation on the upper floors. Scunthorpe has a population of circa 76,000 and is located approximately 30 miles south west of Hull and 21 miles east of Doncaster. The town is located at the junction of the A1077 and the A159,5 miles north of the M180, which links to the M18 at J5,16 miles to the west of the Town Centre. 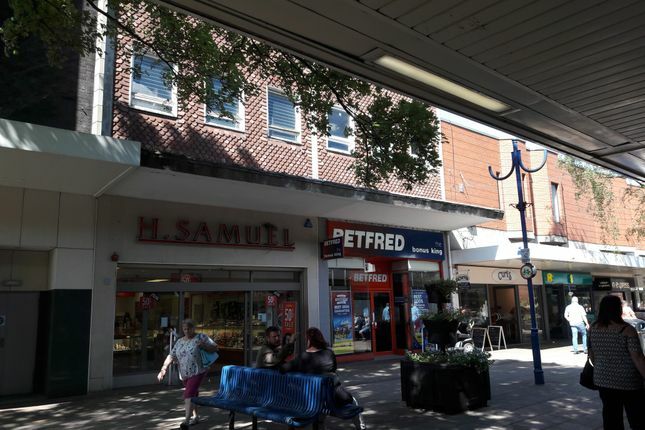 The properties are situated in a prime location on the High Street, the town’s principal retailing thoroughfare. The properties sit adjacent to Primark, with other nearby occupiers including Sports Direct, Topman, Ernest Jones Jewellers, Superdrug, wh Smith, New Look, B&M Bargains and Poundland. Signet Jewellers Limited are the worlds largest retailer of diamond jewellery with over 3,600 stores globally. In the UK the company trades under the brands H Samuel and Ernest Jones and has 510 stores. The Betfred Group Limited operate from nearly 1,700 shops in the UK and generated a turnover for the eyr ending 24/09/2017 of £634,474,000. The company have a Creditsafe rating of 79/100. No. 82 is let to Betfred on a lease expiring on the 10th January 2021. The current passing rent is £45,000 per annum. The lease is drawn on Full Repairing and Insuring terms. No. 82A is let to Signet Jewellers Limited trading as H Samuel on a 5 year reversionary lease expiring on the 18th November 2026 with a current passing rent of £35,000 per annum. The lease is drawn on Full Repairing and Insuring terms. VAT may be payable in addition to the purchase price. However the Vendors will consider a sale of the property by way of a togc.